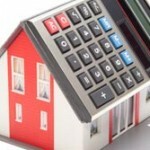 How to Avoid Ridiculous Private Mortgage Insurance Rates - Learn Here! When buying a home, you will usually have two choices: you can make a 20 percent down payment if you have the available funds, or you will have to pay private mortgage insurance (PMI). The private mortgage insurance will protect the lender in case you default on your loan. Paying private mortgage insurance may sound like a simple way to buy a home if you can’t afford a hefty down payment, but you may actually be better off opting against PMI. The cost. Private mortgage insurances usually cost between 0.5 and 1 percent of the entire mortgage loan amount. This may not sound like much, but, on a $200,000 loan, you would end up paying up around $2000 per year, and that’s not exactly pocket change. With the average price of a house in the United States being over $200,000, you would be paying around $200 more per month on top of your mortgage payment. Not tax-deductible. This is not always the case, and it depends on you and your spouse’s income. If you and your significant other earn less than $110,000 per year, than the PMI is tax-deductible. However, if you file your taxes separately, the limit is only half of that. Hard to cancel. When the equity in your home reaches 20 percent, you won’t be required to pay private mortgage insurance anymore. Unfortunately, canceling your PMI is not as easy as you might think. You will be required to request the cancellation in writing and have your home appraised, and in most cases this process can take as long as a few months. Because private mortgage insurance is mandatory if you don’t have the required down payment, the best way to avoid it is by finding a way to pay the 20 percent. If, however, there is no chance of coming up with the down payment, some lenders still offer a 80-10-10 piggyback mortgage loan, which can help by using a second mortgage and your down payment to make the loan-to-value ratio of the first mortgage smaller. Alternatively, you could build up equity in your home, and apply for a PMI cancellation, but this may take a while as you will be required to have your home appraised. Another way in which you could get rid of private mortgage insurance is by refinancing, but this only makes sense if the new loan doesn’t require PMI and you qualify for a lower interest rate. Refinancing can be very costly, so you will need to do your homework before you go down that road. Private mortgage insurance is expensive and it is recommended to pay the 20 percent down payment instead of thousands in insurance. The alternatives must be weighed carefully, as they could turn out to be more expensive than private mortgage insurance.